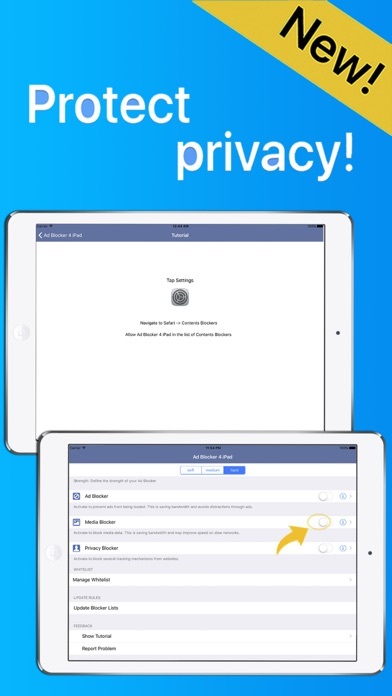 No ads, no clutter, and privacy protection: This is Ad Blocker for iPad. 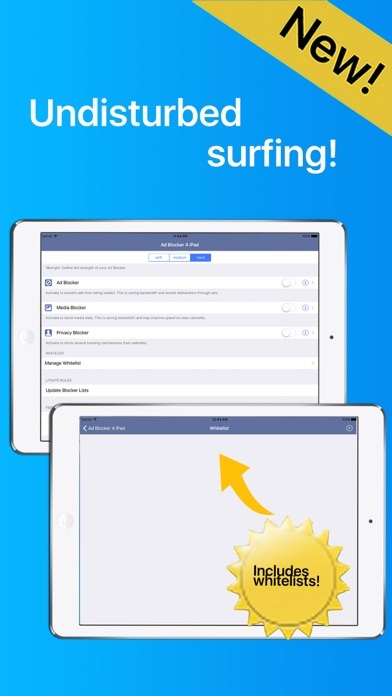 Reduce stress and make browsing the web a relaxed experience on your iPhone or iPad. Stop wasting bandwidth, increase the download speed and be sure that nosy trackers do not collect private informations about you: That is what Peace of Mind is made for! And of course, there is a feedback button to send us comments about Ad Blocker for iPad - Add and Content Blocker.